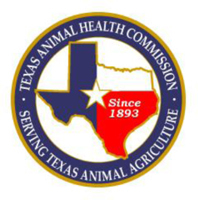 (Austin, Texas - February 3, 2011) - The Texas Animal Health Commission (TAHC) reminds Texas producers, marketers and veterinarians that maintaining a Foot and Mouth Disease (FMD) free U.S.A. requires constant awareness and vigilance. Anyone involved with livestock needs to recognize the general signs of FMD and how to report suspicious symptoms. FMD is not contagious to people, but the viral disease that affects cattle, hogs and other cloven-hoofed animals is characterized by the presence of vesicles in the mouth, or on the muzzle, teats and feet. The FMD virus can accidently be carried on people’s clothing, footwear and vehicles from one farm location to another. “In today’s world where people travel and trade so much internationally, we need to remember that the introduction of FMD to Texas livestock is an ongoing threat. Producers should always be aware of who’s coming in contact with their livestock and where those people may have been previously,” said Dr. Dee Ellis, Texas’ State Veterinarian. The introduction of FMD would create severe economic and trade implications for Texas producers, added Dr. Ellis. The TAHC and United States Department of Agriculture, Animal and Plant Health Inspection Service (USDA-APHIS) have created state and national response plans for dealing with high consequence animal diseases such as FMD if introduced. The TAHC and USDA routinely partner with other federal agencies as well, to help prevent the intentional or accidental introduction of foreign animal diseases or foreign pests into the United States. The TAHC works closely with the various Texas livestock industries also, to maintain viable contingency plans in case FMD was introduced into the state. FMD is present in a number of continents including South America, Africa and Asia, with recent outbreaks occurring in South Korea, Japan and Bulgaria. FMD was last diagnosed on U.S. soil in 1929. Suspicious symptoms can be reported to the TAHC year-round, 24-hours-a-day by calling 1-800-550-8242. For more information on FMD or other infectious diseases, producers are encouraged to contact their veterinary practitioner, call their local TAHC office, or visit the TAHC website.